The idea behind James Lee Stanley and Cliff Eberhardt going into the studio in May of 2010 was to make a recording like no other you've ever heard. The secret? Take classic Doors songs and rearrange them through their (James & Cliff's) own sensibilities of acoustic guitars and rich vocal harmonies, tempered through thirty years of making acoustic rock music. Both James Lee and Cliff are well equipped to deliver the goods. 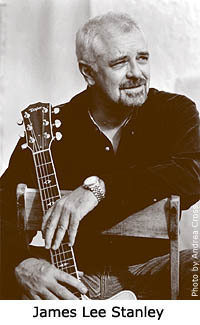 FI magazine called James Lee Stanley's solo guitar and voice cd, Freelance Human Being, "a masterpiece and one of the all time great recordings." 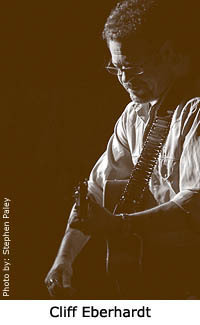 Sing Out magazine said of Cliff Eberhardt's latest solo effort, "palpable intimacy and passion... it's Eberhardt's soulful renditions, mixed with the CD's perfect acoustics, that fools you into thinking Cliff was performing in your living room." 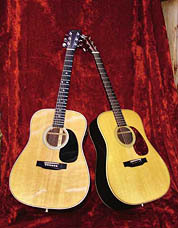 Between them Cliff and James Lee have recorded over 30 acoustic rock music albums. Then they came together and created a genuine masterpiece. All Wood and Doors will serve to reintroduce the musical genius of James Lee Stanley and Cliff Eberhardt to the world. James Lee and Cliff spent the better part of 2010 picking and arranging the songs, recording and producing, mixing and mastering what Beachwood Recordings considers to be one of the crown jewels in its catalog. James Lee was either in the studio recording his latest solo CD, Backstage At The Resurrection or recording All Wood and Doors with Cliff for the entire year. Cliff has been on tour promoting his latest solo CD, 500 Miles: The Blue Rock Sesssions, when he wasn't in the studio with James Lee recording All Wood and Doors. This is the joyous fruit of their considerable labor. We hope that you love it as much as we do.